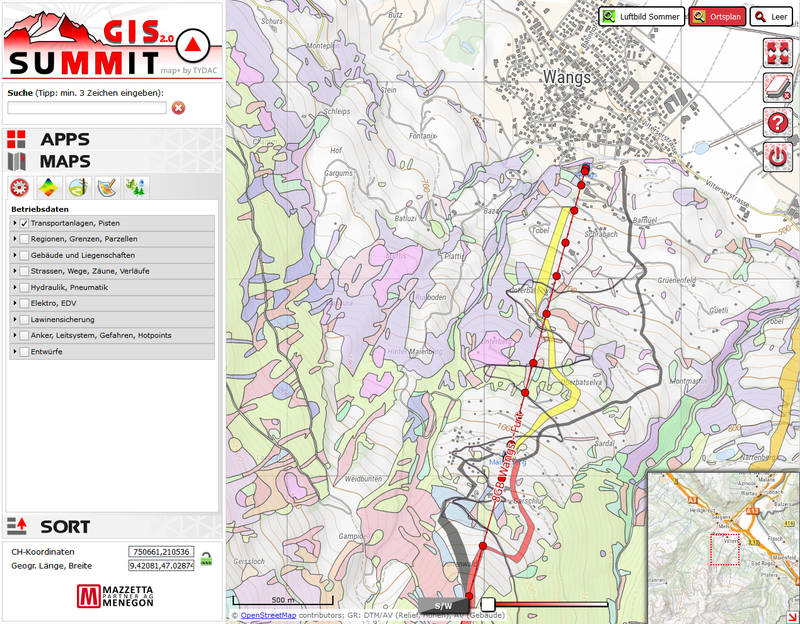 Along with Mazzetta Menegon & Partner AG in Untervaz (Grisons) we developed "Summit GIS", a WebGIS solution for operators of skiing areas. 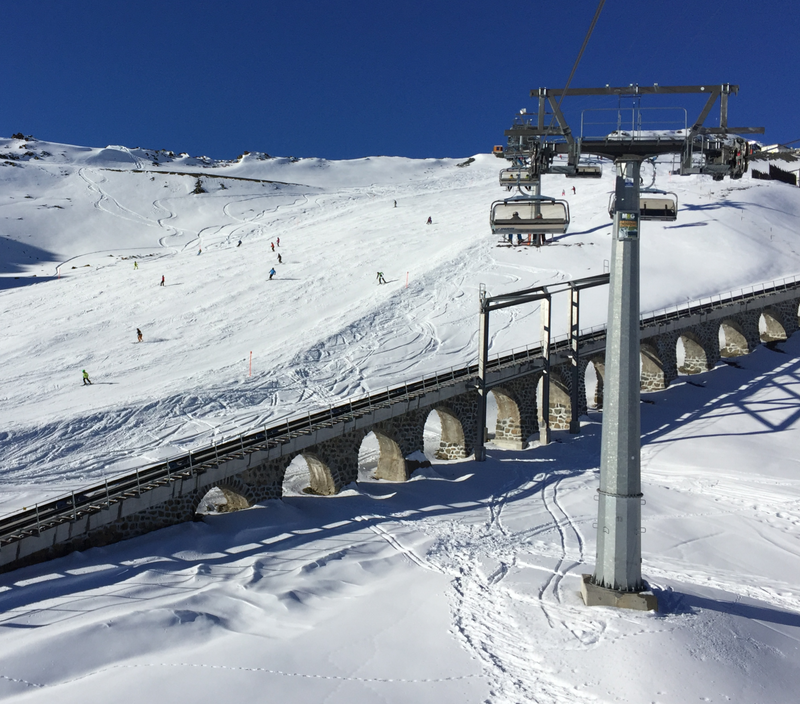 Nowadays, running a larger ski area costs around 250,000 francs - per day! This has much to do with infrastructure - which needs to be managed efficiently! Finally an application that anyone can use. The user interface is self-explanatory, accessibility simple and clear. Transportation systems, runs, trails, fences etc. When capturing points x,y, and z attributes are automatically set as attributes for points (needed for CSV export). When capturing areas, the surface is automatically updated as an attribute. 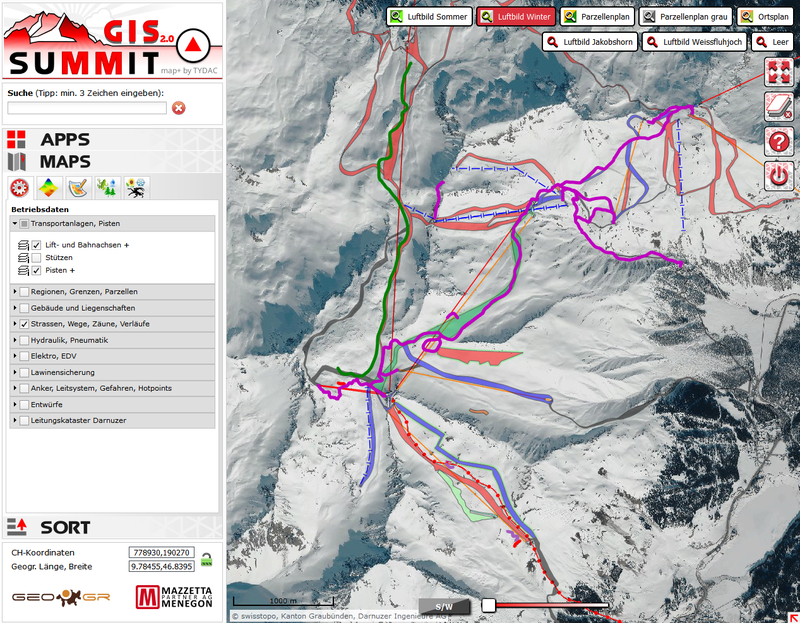 Summit GIS is already in use by top skiing areas such as Davos/Klosters, St. Moritz, Titlis, Gstaad, Flumserberg, Pizol.